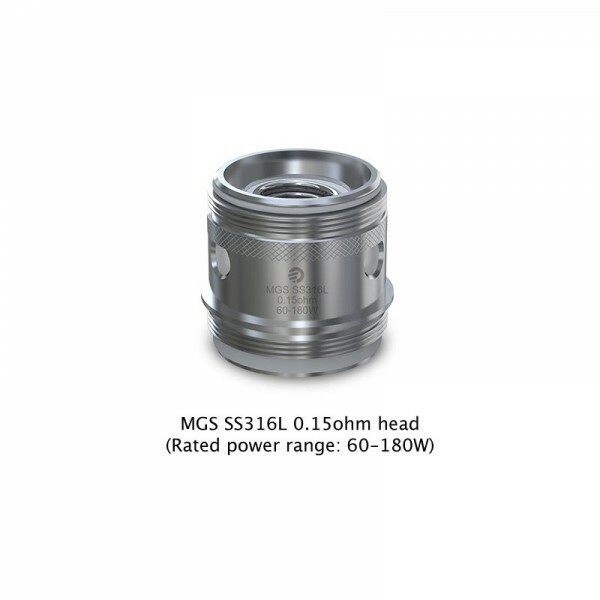 Featuring three coils into one head, the MGS Triple 0.15ohm head (made of SS316L) is meant to go through considerable e-liquid producing an ideal heating effect with large clouds and great flavor. 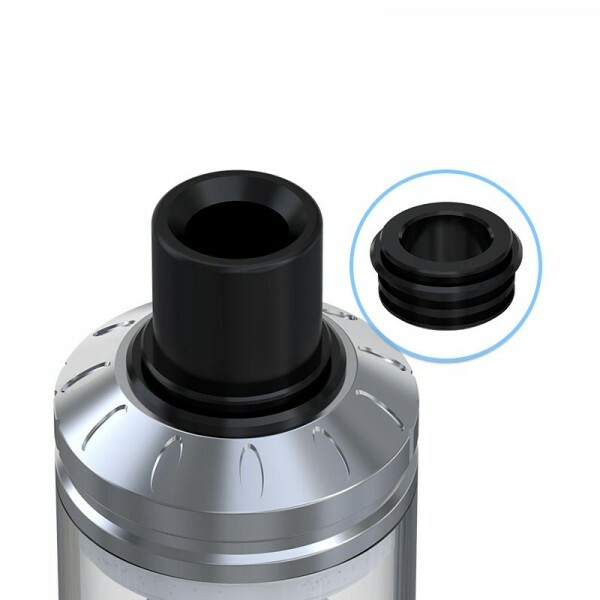 E-liquid inlet can be regulated by simply rotate the valve.Our exclusive recommended output range for the best taste is 100-160W. 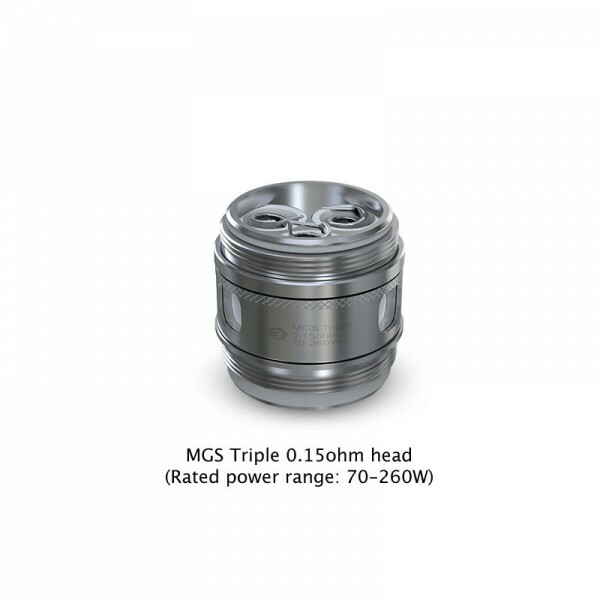 Stainless steel coil can be used under both power mode and as well as TCR mode. 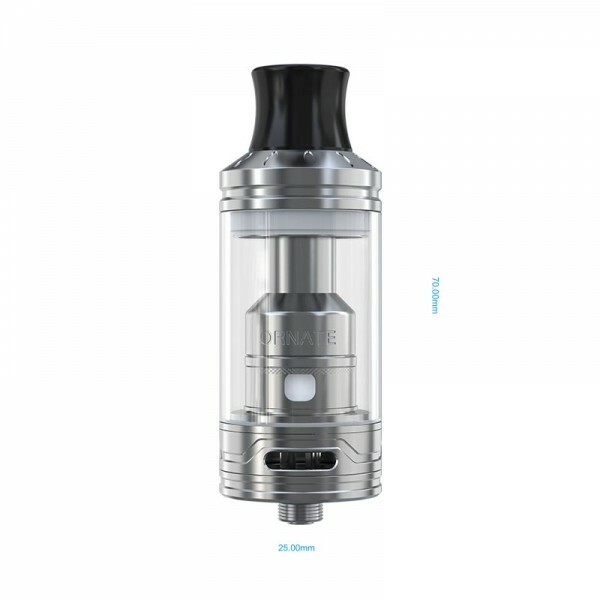 It produces considerable vapor with minimal loss of flavor. 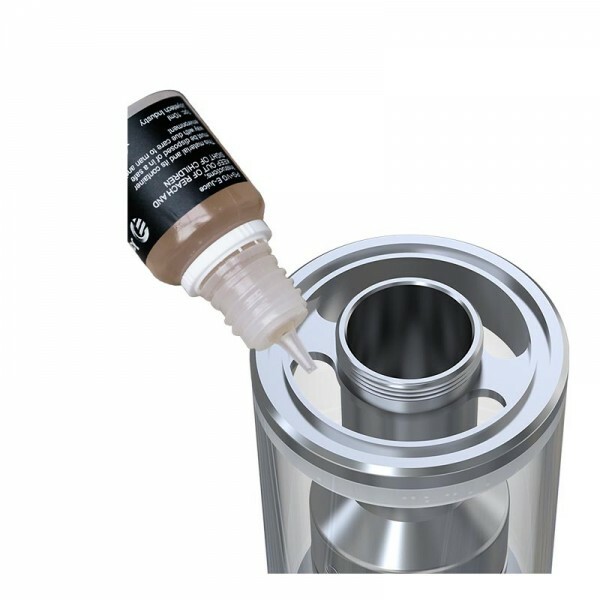 Our exclusive recommended output range for the best taste is 80-130W. 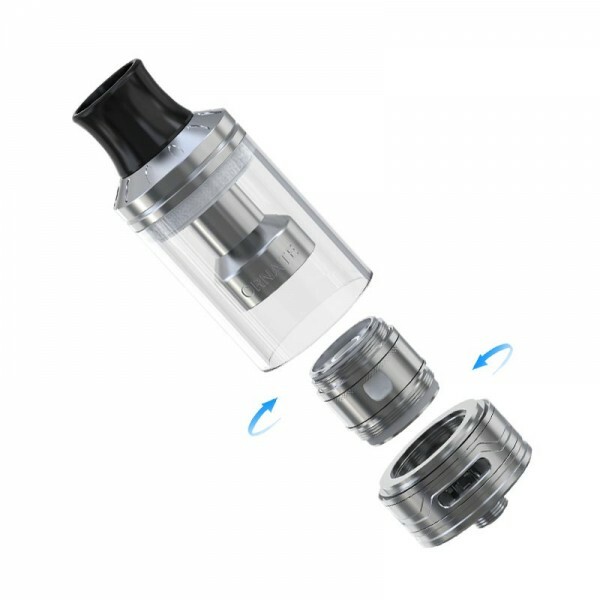 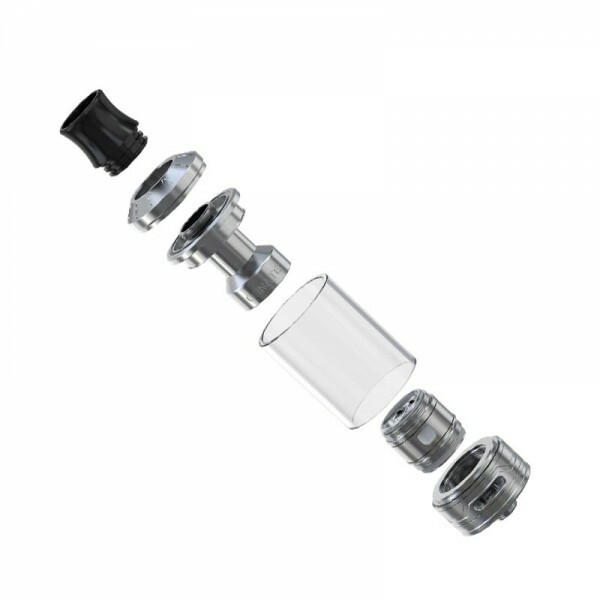 To achieve the huge cloud and great flavor with the MGS heads, large air slots with multiple holes are necessary. 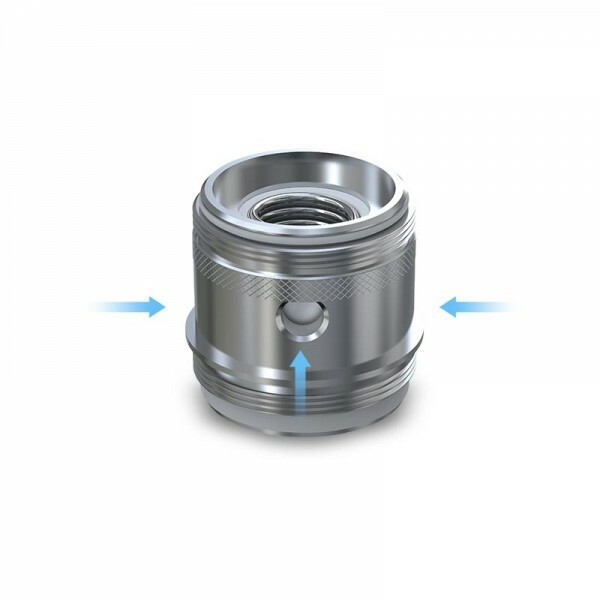 Just rotate the valve to adjust the air-let.